Send Butter Scotch Birthday Cake - 1 Kg to Chennai. Gifts to Chennai. Send Cakes to Chennai. 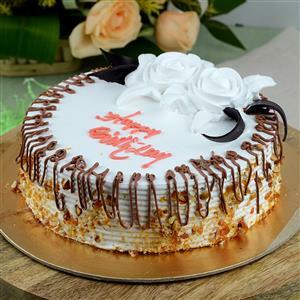 Description : Convey your warm birthday wishes by sending this mouth-watering 1 Kg Butter scotch birthday cake to Chennai through Gift2Chennai.com. You can also send other Gifts to Chennai as Birthday gifts. Please Note : Picture is indicative. Actual might vary.